“Amazing innovation is a notable feature of the beverage industry today, across alcoholic and non-alcoholic classes, and we’re seeing more and more demand for unusual tastes, through the application of botanical extracts, exotic fruits, tea, coffee, and even vegetables,” says Alana Ridley, customer service & botanical specialist with Doehler South Africa. Doehler is a global producer of technology-based natural ingredients, ingredient systems and integrated solutions for the food and beverage industry. Its focus is on using materials from source to manufacture the purest and most natural food ingredients such as botanical extracts. 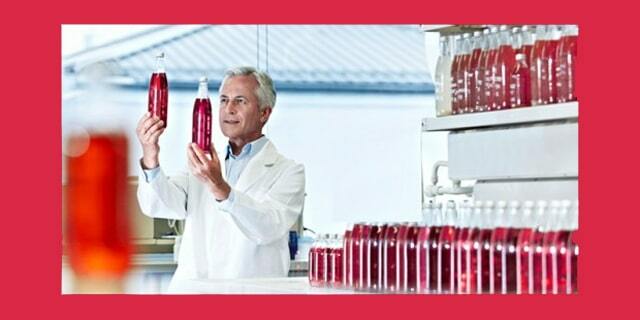 “Our broad portfolio of natural healthy extracts contains, for example, hibiscus extract that is a brilliant solution for both flavouring and red colouring, especially with the growing global demand for products containing only natural ingredients, including flavours and colours,” says Ridley. It contains compounds similar to those found in red wine: flavonoids, polyphenols and anthocyanins. The beautiful red of the powdered extract comes from the anthocyanins of the large flower of Hibiscus sabdariffa, and is an ideal ingredient for colouring and health purposes. Anthocyanins are vacuolar pigments belonging to the flavonoid family. They contribute to the rich source of naturally-occurring protective antioxidants which can reduce oxidative stress in cells. In combination with further functional ingredients, hibiscus extract helps to differentiate food and beverages and supports the following health-related product positionings: heart/cardiovascular health, beauty and immune system support. The pigment, anthocyanin, has good colouring capacity, is thermo-stable and completely dissolvable in cold water. In addition, the extract itself has a wonderfully zestful yet floral flavour. Doehler´s hibiscus extract is ideal to replace synthetic colours in a wide range of applications such as beverages, cereals, confectionary, jams, jellies, and teas. The main pigments in hibiscus responsible for the brilliant red colour are Dp-sambubioside and Cy-3-sambubioside. “When this extract is formulated into a beverage with maltodextrin the degradation of anthocyanins is markedly retarded,” she comments. As a supplier of natural ingredients, ingredient systems and integrated solutions, Doehler offers a broad portfolio of highly stable natural botanical extracts that can be used to deliver exciting products targeting a variety of market sectors – including the most popular current and predicted consumer trends.